Ultra-low 30 dB operation in Normal mode (28 dB in Eco mode). Dynamic RGB Booster optimizes brightness and delivers outstanding color reproduction. Detail Clarity Processor 3 adds clarity and texture to details. System Daylight View 2 for enhanced color perception in bright rooms. DICOM Simulation mode for medical presentations and training*1. 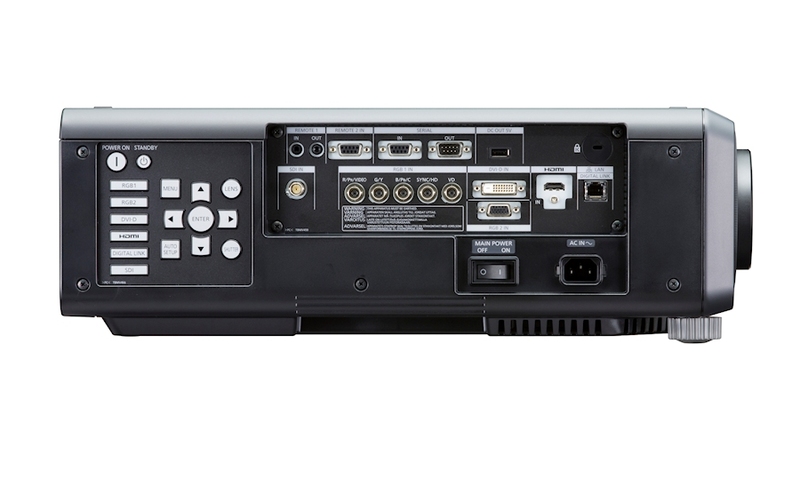 DIGITAL LINK is an original function added to HDBaseT™ technology. 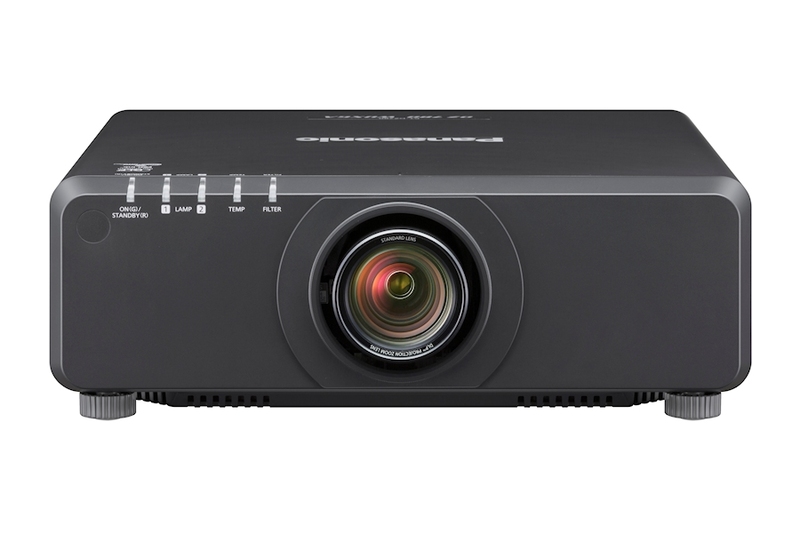 Equipped with a DIGITAL LINK terminal, the PTDZ780 projector allows transmission of HDMI, uncompressed HD digital video, and control signals (Ethernet, RS-232C) for up to 150 m* (492 ft*) through a single CAT5e (STP) cable or higher. This simplifies cabling and system upgrades, making it ideal for ceiling-mounted and other permanent installations. 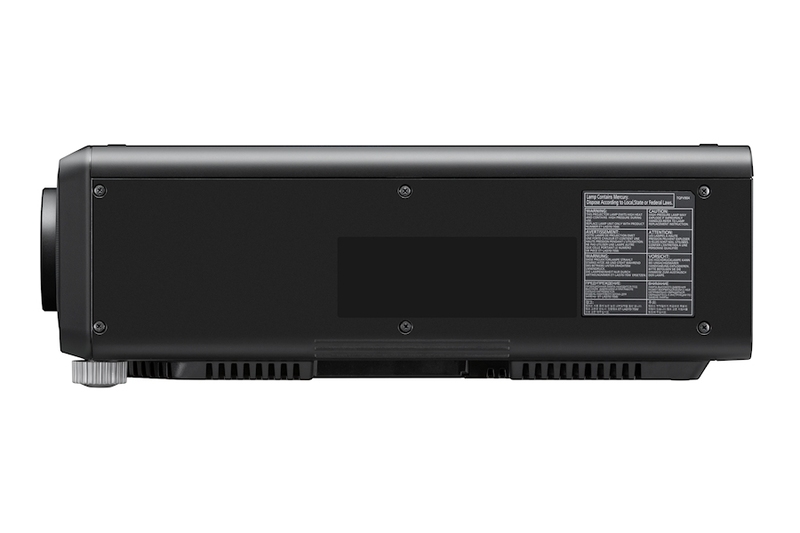 The PT-DZ780 projectors employ newly developed high-power 310 W lamps that have a long replacement cycle of up to 4,000 hours* to help lower the total cost of ownership. 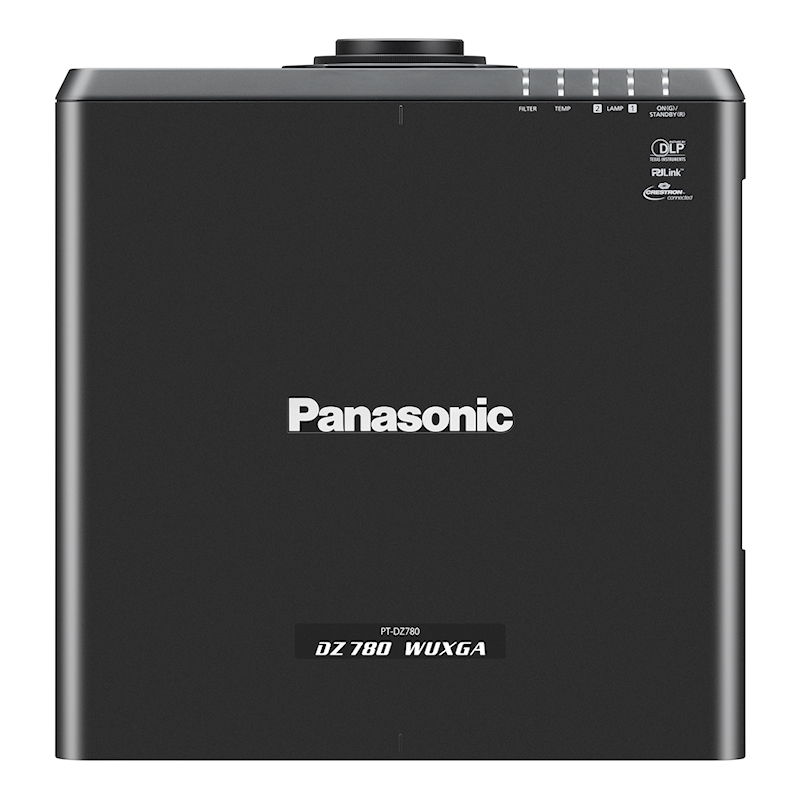 Enables continuous 24-hour operation while ensuring uninterrupted playback in the event of lamp failure and, for the first time at this level, high-end System Daylight View 2 joins Panasonic’s proven Dynamic RGB Booster and Detail Clarity Processor technologies to ensure vivid colour reproduction, exceptional detail, and high brightness, even in well-lit spaces. This function adjusts the image for projection onto spherical, cylindrical and other specially shaped screens. You can make the adjustment easily using only the remote control, with no external equipment needed. 4-Corner Adjustment and Keep Aspect Off functions also simplify fine adjustment. The Geometry Manager Pro software offers a more flexible and complex geometric adjustment capability, and supports color matching and edge blending for multi-screen projection. 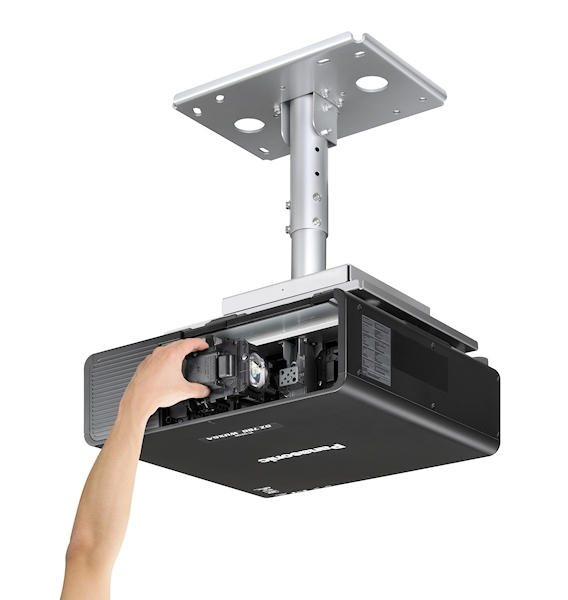 It also makes adjustments for multiple projectors fast and easy over a network. Also, a computer can be used* to operate the geometric adjustment, and up to three sets of adjustments can be stored. Applying this kit to Geometry Manager Pro software enables creative masking using four lines and/or bitmap data, uniformity correction, and other useful functions. This plug-in software for Geometry Manager Pro sets up multiple projectors automatically and simultaneously, greatly saving installation time and costs. It takes only three quick and simple steps. 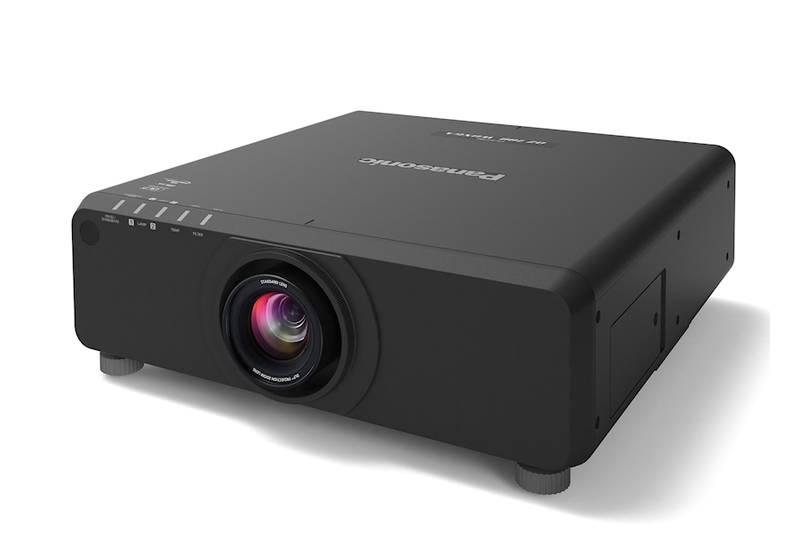 By using a camera** together with a PC connected to the projectors via a network, this software calibrates and adjusts multi-screen or curved-screen projection. Adjustments include geometric adjustment, edge blending, color matching, stacking, brightness, and black level. The Multi-Screen Support System optimally adjusts multiple screens: Edge blending, Color matching and Digital image enlarging. The PT-DZ780 features a digital zoom function that allows images to be enlarged up to 10 times (horizontally and vertically). * Up to 100 units (10 x 10) can be edge-blended at a time to create large, multi-screen images. Lamp life extended to 4,000 hours in Normal mode (6,000 hours in Eco mode)*2. Dust-resistant optical block allows air filter-less design*3. Dual-lamp system enables continuous 24/7 operation in Lamp Relay mode. Liquid cooling system ensures safe operation in temperatures up to 45 °C*4. Compatible with Art-Net DMX lighting control protocol. Abundant terminals including 3G-SDI (PT-DZ780 only), DVI-D, HDMI, and DIGITAL LINK terminals. (up to 100 m (328 ft) for other signals including WUXGA video). Geometric Adjustment for projection on curved or spherical surfaces. Compatible with the ET-UK20 optional upgrade kit featuring Geometry Manager Pro software (PT-DZ780 only). Supports the ET-CUK10 Auto Screen Adjustment Upgrade Kit*5 (optional, PT-DZ780 only). Wide selection of optional lenses including the ET-DLE030 ultra-short-throw lens. Lamps can blow, if you need your projector working and can't afford down time, you may need to keep a spare lamp. 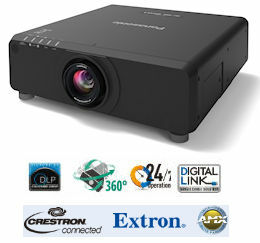 The replacement projector lamp for the Panasonic PT-DZ780ba is the ET-LAD70.